If someone is holding some large events fund-raising events, family get together's, or simply tailgating with your friends at a sporting event,so the inflatable tents are the best choice. 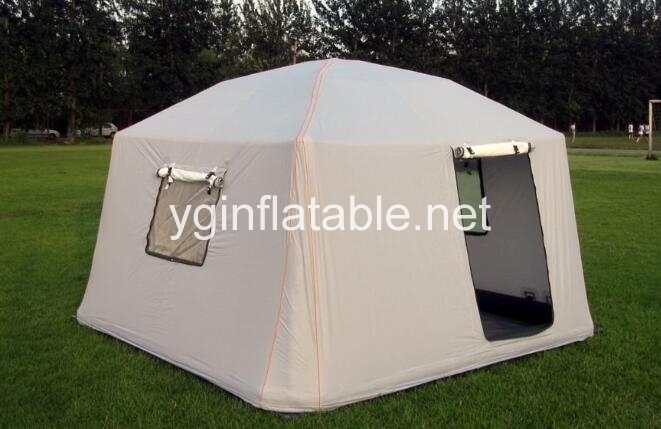 Inflatable tents have become a popular game changer compared to traditional inflatable tents now. Whatever the events are held, these tents are a great alternative to using the traditional tents. Inflatable tents are so easy to move and transport, made of durable plastic material, and is resistant to rain, strong winds, and can withstand the harshest of weather conditions. Actually, the regular tents are good to be used for most occasions, but they are not resistant to problems such as leaking seems, complicated set-ups, and the sheer hassle of lugging these things around. Inflatable tents are great for kids parties. These tents come in many styles, colors, and cool designs that kids will love. However, they are also great for events such as weddings where you can order a more casual style tent. You will feel confident that in the event that if mother nature starts pouring her heart out in the form of rain and wind, your guests will be protected. These tents can be purchased from many different retail outlets, such as: sporting goods stores, large retail outlets, online stores, and through the manufacturer of the tent's sites as well. There are several prices ranges, sizes (height and coverage area size), colors, and many other ways to personalize for special events. It is the ideal way to stand out from others at your tailgate party before the big game; or, an easy way to totally freak kids out at a kids party using the famous bounce house tent. Inflatable tents are a great alternative to regular tents because they are durable, lightweight and easy to transport. They can be customized for any special events and can be used for any special function you are holding. 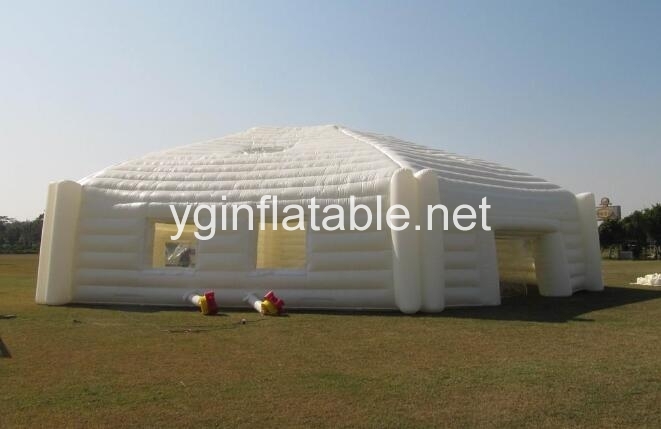 No matter what the event, inflatable tents are a great way to break away from the traditional tents. So, for your next family event, birthday party or tailgate event, you should try using an inflatable tent. You won't regret it.